I’m no stranger to folks paying tribute to Jane Austen. 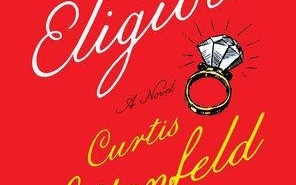 Long before I read “Emma,” I could quote “Clueless.” Last December, I half-heartedly chewed my way through a “Pride and Prejudice”- inspired mystery entitled “Death Comes to Pemberley.” When I was 13, “The Jane Austen Book Club” taught me to think of “Persuasion” as “the one with the dead mom,” so this was the first thing that popped into my mind when I learned Austen’s last completed novel had inspired Louisa Hall ’04’s “The Carriage House.” My next move was to brace myself for 279 pages of old dogs forced into new outfits, but “The Carriage House” is refreshingly devoid of the stale prose and tedium that tend to undercut books based on books. Through superb character development, narrative innovations that are all her own, and humor that winks at Austen without kowtowing to her, new author Hall crafts a poignant tale that transcends the riff-off genre. The novel’s nucleus is the Adair family. The Adairs were once the toast of Breacon, Pa.,: attractive, athletic, and prepossessing. But in the novel’s opening chapter, patriarch William is sidelined by a stroke and wakes to an upsetting realization: his three daughters are all disappointments. Hall writes, “they had done nothing but practice the art of slow drowning.” Elizabeth is a failed actress, driven home by a divorce. Diana is a struggling architecture student whose looks have faded along with her tennis game. Isabelle is a sulky, ambition-free teenager. Hall’s gang of malcontents is rounded out by Adelia, William’s childhood love who has spent the last 10 years trying to burrow her way back into his life, and Louise, the flighty Australian caretaker who looks after William’s Alzheimer’s-stricken wife, Margaux. This cast congregates in the family home on Little Lane, and in a bid to revive William’s spirits, dedicate themselves to the task of saving the eponymous carriage house—a type of outbuilding used to use house horse carriages and a decrepit Adair family heirloom that the neighborhood council has slated for destruction. Suburban intrigue ensues, but Hall’s sticking point is undoubtedly her characters. Austen’s novels typically contain just a handful of sympathetic persons. The troop of pedants, morons, and petty relations who ring them are meant to elicit laughs, not pathos. With “The Carriage House,” Hall breathes life into a tomb’s worth of minor characters that in the original are resolutely—albeit deliberately, and brilliantly—one-dimensional. The reason it is possible to enjoy “The Carriage House” without having read “Persuasion” is because Hall’s inventions are not mere iterations of Austen’s characters: they are dynamic enough to stand or flail or collapse in a heap on their own. Hall does not give her main characters short shrift either. Diana, like the heroine of “Persuasion,” undergoes a restorative transformation, but gradual tonal shifts make clear that this rebirth is mental as well as physical. Also superbly drawn is Adelia, whose unmotherly nature pervades every aspect of her bearing even as she yearns to transfigure herself into wife and parent. Hall’s crowning achievement is her reimagining of the mother in “Persuasion.” In Austen’s novel, the matriarch is dead. Margaux is merely mentally absent, but the specter of her effaced consciousness is as haunting as any ghost. By way of old diary entries, unearthed by nosy Louise, Hall creates a character that is strikingly original and genuinely horrifying: a woman who foresaw her disease and was content to fade away. Her diary entries are imbued with spine-tingling indifference: “Already I feel myself slipping away, and here is a secret I’d like to remember: in truth it’s not too bad. I’m scared, but only in the way you are before you dive beneath a wave. Once you’ve dived, there’s nothing but cool darkness and the tumbling into something that was part of you before you were born.” Intoxicating in and of herself, Margaux also compels those tortured by her empty presence to reveal their humanity. Isabelle initially comes across as not quite believable, but a harrowing, almost completely one-sided conversation she has with her mother late in the novel works wonders. One emerges not only convinced of Isabelle’s dynamism, but also sympathetic for a character easily as dismissible as facile. Hall’s use of controlling motifs also bolsters a nuanced quality, which further develops “The Carriage House.” If the Adairs have one thing in common, it is tennis: William harbors an ardent—some would say unhealthy—love for the game, and each of his daughters competed in their youth. Hall’s choice is spot on. 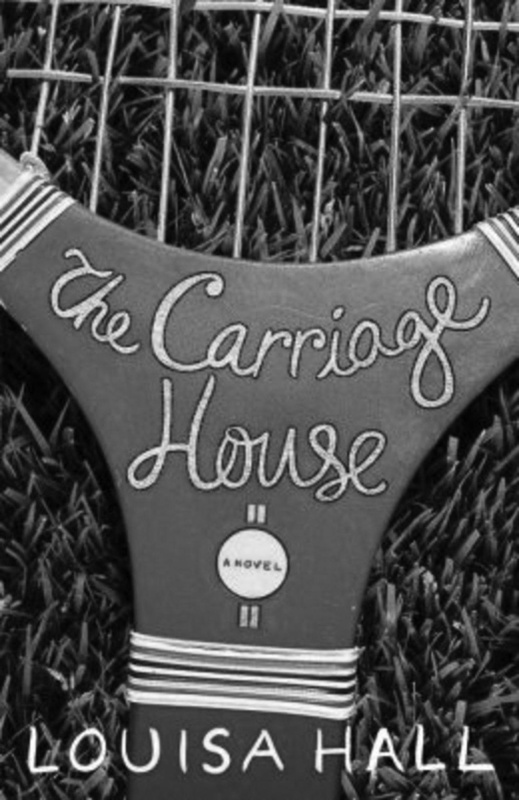 Tennis is all about recovery, and the characters of “The Carriage House” spend the novel trying to claw their way back to a place where they feel in control. The motif also fosters a sense of combativeness between these characters, who engage in verbal rallies, fighting tooth and nail for figurative points. Hall’s handling of the carriage house itself is equally deft. At the beginning of the novel, its decrepitude mirrors that of the Adairs. It looms in the backyard, throwing their decay in their faces. As the Adairs change, so too does the carriage house. It’s the rare visual motif that also acts as a plot device, both impelling and holding a mirror to the Adairs’ transformation. Hall is careful to temper the sadness that pervades “The Carriage House” with healthy doses of comedic vitriol. It is in her treatment of suburbia that Hall’s tone comes closest to paralleling Austen’s. Her accounts of housewives’ activities and country club politics are merciless. Little Lane golden girl Abby Weld is introduced as follows: “She was not a happy girl, and furthermore she had a weak backhand and Diana would clobber her.” One-liners in this vein are rife and help prevent “The Carriage House” becoming too heavy for its own good. I read “Persuasion” just over a year ago, on a bus wending its way from New York to Chicago, but if the jacket flap had not alerted me, I think I may have made it to the end of “The Carriage House” without having deduced its derivative status. Most adaptations ask, what if this story occurred in modern times? “The Carriage House” adds, and what if things were a whole lot more complicated? By daring to transfigure Austen utterly, Hall succeeds in fashioning a text that is at once highly unique and a credit to its forerunner. —Staff writer Emma R. Adler can be reached at emmaadler@college.harvard.edu. In recent years, the line between the literary spin-off and a genre of somewhat less repute—fanfiction—has blurred to the point that it is not clear into what category some novels published today may fall. To criticize “Longbourn” as falling on the fanfiction side of this boundary, however, would miss the point entirely.